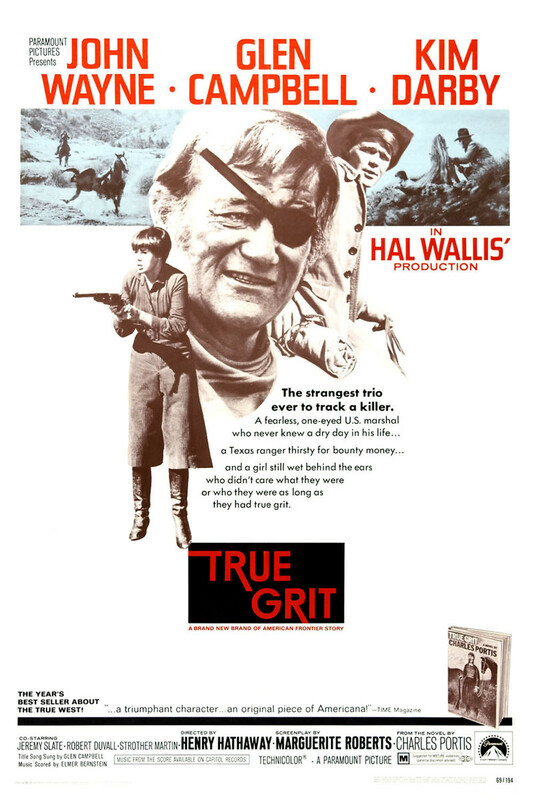 Young Mattie Ross teams up with US Marshall Rooster Cogburn and Texas Ranger La Boeuf to track down the man who murdered her father. Despite his reputation as a drunk, Cogburn is also known for always getting his man. They travel from Fort Smith, Arkansas into Indian Territory to find the fugitive, who is also a wanted man in Texas and has joined up with an outlaw gang. La Boeuf dislikes Mattie in the beginning and believes she doesn't have any business riding with the lawmen. The trio are involved in several gunfights and close calls before they take out the gang. Mattie is bitten by a poisonous snake and La Boeuf is killed, but Cogburn and Mattie return home alive in the end.